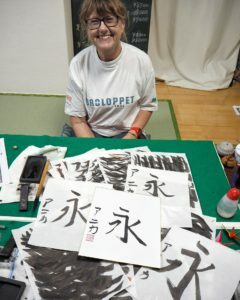 Annika, she messaged me on WhatsApp for 2 days of Advanced Calligraphy class!! 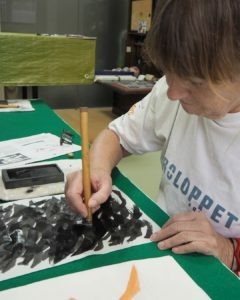 She speaks Japanese, knows some of kanji and has done Calligraphy once before. 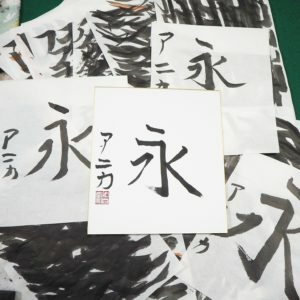 So I was planning to teach one kanji 永 on the first day. Then another kanji next day. I really hope to teach her again next year as she comes to Japan every year!! If you’re interested in Japanese calligraphy (Shodo), Cooking (Udon, Tamagoyaki), Origami or Tsumami-zaiku then please contact me!! 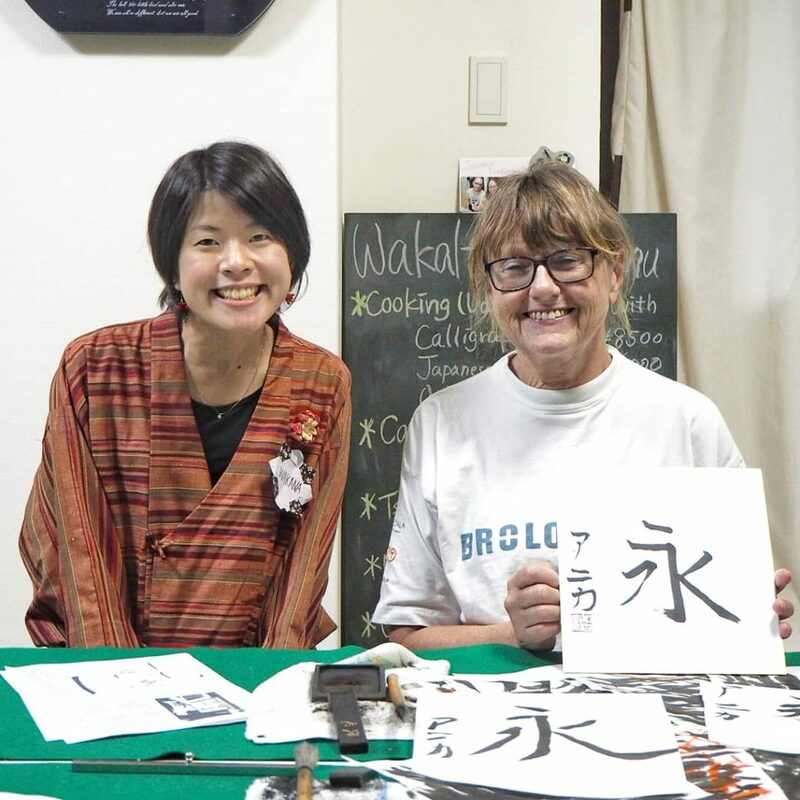 You’ll learn the Traditional Japanese Calligraphy;) I have a license to teach Calligraphy and over 20 years of experiences. Copyright © 2019 Wakalture Experience. Theme modified by GD86 Design. Original theme by Site5 WordPress Themes.